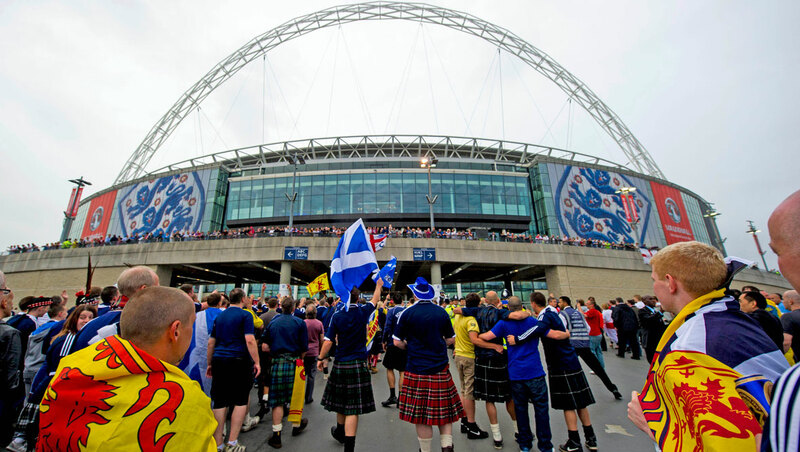 Around 25,000 Tartan Army members descended on London for the match. 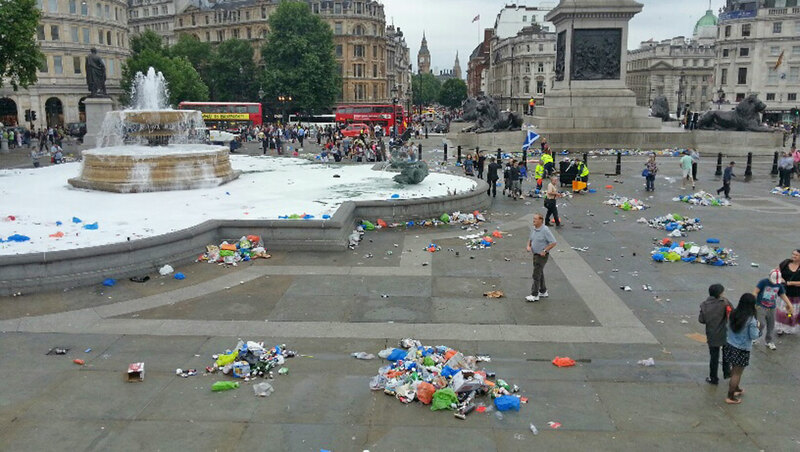 Scotland fans left 10,000 beer cans in London's Trafalgar Square after their party before the England tie. Around 25,000 Tartan Army members descended on London creating a party atmosphere in Trafalgar Square in the build-up to the friendly game. 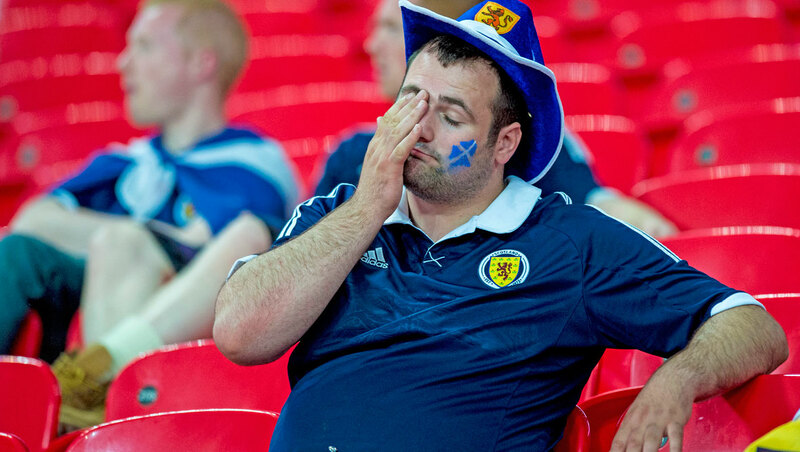 Despite taking the lead twice, the Scots eventually lost 3-2 to England as part of the Football Association’s 150th anniversary celebrations. The Metropolitan Police said the game went off without any major incidents. While Westminster City Council revealed it spent around ten hours clearing up more than 10,000 beer cans left at Trafalgar Square following the Scots visit. Thousands of members of the Tartan Army took up camp at the site in the run up the kick-off. The council's cabinet member for city management Ed Argar, said: "This was one almighty clean up. Our crews worked hard around the clock to get London back to normal for our residents and businesses this morning. "I’m glad to say it is Westminster 1, litter 0. It was a triumph to vanquish the Auld Enemy of litter once again, and we even found one or two weary Scotsmen in the square this morning." The Metropolitan Police confirmed two people were arrested at Wembley at the match for drunkenness and public order offences, but the force was not able to say which side the two were supporting. In the run-up to the match, one 23-year-old Scotland fan from Dundee was arrested for allegedly dancing naked in the fountain at Trafalgar Square. A Metropolitan Police spokesman said: "At approximately 3.20pm today police arrested a 23-year-old man for being drunk and disorderly after he was spotted dancing naked in the fountain at Trafalgar Square. He was taken to Charing Cross police station where he remains in custody." 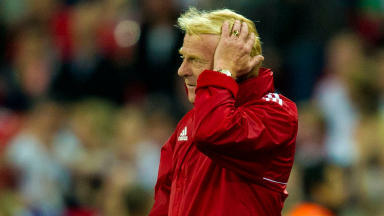 National team boss Gordon Strachan said after the match that his players gave it their "best shot" against their old rivals. STV broadcast the game live on TV and online, which saw it hit an audience of 1.18 million making it the best watched show on the channel this year. 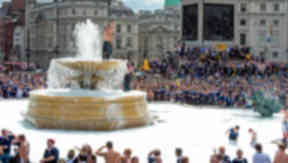 Scotland fans added washing-up liquid to the water in the Square’s fountains as the supporters spent the day partying. The Tartan Army draped walls at the Square in Saltire flags as part of the celebratory atmosphere for the first Auld Enemy match since 1999. Despite taking the lead twice through strikes from James Morrison and Kenny Miller, England’s Rickie Lambert sealed victory with a headed goal on his international debut after equalisers from Theo Walcott and Danny Welbeck. Around 10,000 beer cans were left behind in Trafalgar Square by the Tartan Army. One of the 25,000 Tartan Army members after the final whistle. Credit - SNS Group.